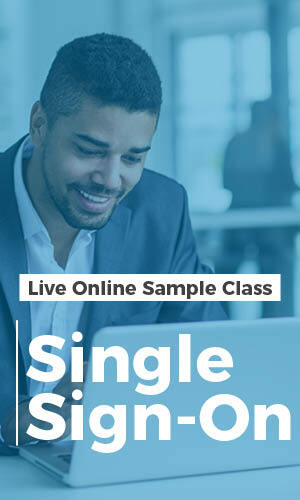 This Live Online Sample Class covered the security aspects of Single Sign-On (SSO) solutions. SSO is an important part of authentication, and appears in both real-world authentication solutions and certification exams. In this class, we'll dive into the advantages, disadvantages, processes, and examples of SSO. To register, simply submit the form. Instructions on how to view the class recording will be sent to directly to your inbox.